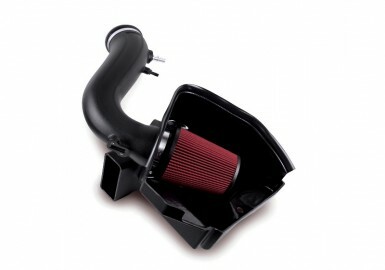 The ROUSH Mustang Supercharger Cold Air Induction is a more efficient air intake method than the standard air filtering process. Air first comes into the Air Dam, which keeps out hot air from the engine compartment. The result is that the air entering the filter is cooler and dense, providing for a more potent air charge. 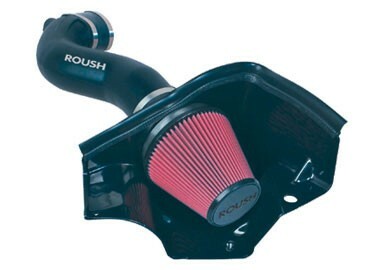 The ROUSH air filtration performance is second to none. The Mustang air filters are 100% washable and reusable. The intake features a Cool Air Dam which surrounds the high-flow filter, helping to keep out hot air from the engine and debris (from hood louvers as seen in 2014 Mustang), further maximizing performance. This CAI kit includes all the necessary hardware, making it quick and easy to install. 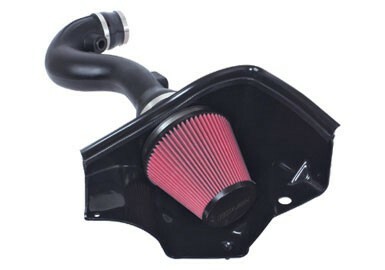 Intake will work on 2011-2014 5.0L-4v Mustangs with the ROUSH TVS Supercharger. 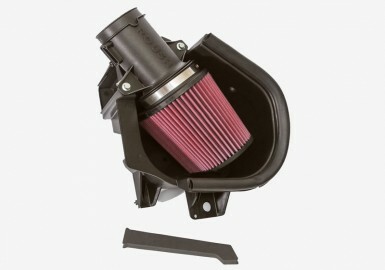 Also works with 2011-2014 5.0L-4v Mustangs with Ford Racing and Whipple 2.3L/2.9L Superchargers. The "ROUSH" logo is also featured on the kit, thereby stamping your car with the mark of the leader in automotive performance. As a result, this kit not only makes your car faster, it makes it look faster when you open your hood.